You graduated from college with an IT diploma in 2005. How did you get from IT to wine? I realised my passion for wine when I started working in restaurants that had good wine lists. I only studied IT - I never worked in that field - and when I tasted my first wine I realised that I wanted to learn more about the beverage. Growing up in Zimbabwe, in a non-drinking family and beer drinking nation, it was quite a challenge to be exposed to wine, but I am really enjoying it. What do you enjoy most about your career as a sommelier? What I enjoy most is that I get the opportunity to taste some really exceptional wines - and it’s fun when you do it as a group of somms like I do with the other guys I work with and from other restaurants in the area. Being involved in wine judging is great fun and as everything is done blind, it’s totally fair, which makes things more interesting. How close is the community of Zimbabwean sommeliers in South Africa, and why is it important? Being close to other sommeliers helps me stay at the top of my game. Sometimes you do not get an opportunity to attend wine trade shows and the only way to keep up-to-date with what’s happening is to communicate with other somms. We meet different clientele all the time and there are sometimes requests for certain wines you’ve never heard of. The best way to anticipate these requirements is to stay in touch with other sommeliers and to put questions to the group. There’s always someone who knows the answer! If you had to predict any changes that may occur to the South Africa wine scene, what would they be? As far as winemaking goes, I think our wine quality will improve as we understand our own terroir better. There are a lot of initiatives focusing on wine that will assist the development of the industry as a whole. How did gaining the WSET Level 3 Award in Wines and Spirits help you in your job? 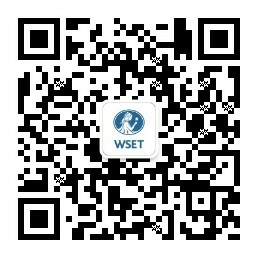 WSET Level 3 helped me a lot when it comes to understanding wine quality, regions and grape varieties across the world. My confidence in the restaurant increased and I am lot more comfortable making food and wine pairings. Tasting wine in every lecture and learning how to talk about what you can taste has helped me convey information to the patrons in our restaurant. Marlvin took his Level 3 Award in Wines and Spirits with Cathy Marston at the International Wine Education Centre in Cape Town, South Africa. Find out more information about the Level 3 Award here.